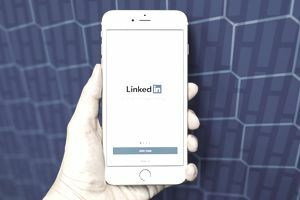 LinkedIn is one of the most popular professional online networks, and its users are sometimes targeted by online scammers. These scammers may send LinkedIn users emails that appear to be from LinkedIn but are not, either infecting your computer with malicious software or stealing your personal information. Below are a few common LinkedIn scams and tips for protecting yourself and your personal information. One of the most common LinkedIn scams is a fake email inviting you to connect with another LinkedIn member. The email will look very similar to an authentic LinkedIn email, and might even contain the LinkedIn logo. It may ask you to click on a link to "visit your inbox now," or ask you to "accept" or "ignore" the invitation. If you click any of these links, the link will bring you to a compromised website that will download malicious software onto your computer. This scam first occurred in 2012, when Russian hackers collected and leaked millions of LinkedIn users' passwords. Scammers send you a fake email, pretending to be the LinkedIn administrative team. The email asks you to confirm your email address and/or password. It might even say that your LinkedIn account has been blocked due to inactivity. This email might contain a hyperlink that says something like "click here to confirm your email address." If you click on this link, it will bring you to a compromised website that looks very similar to the LinkedIn site. The site will ask for your email and password. Scammers will then take this information and put you at risk for identity theft. This type of theft is known as "phishing." It's important to check out the people who invite you to connect with them on LinkedIn, as they could be fake profiles. If you don't know the person, check out their profile carefully. Warning signs include a very brief profile with a limited amount of company and job information. If you accept the invitation, the next message might be one with a link to a scam. With this scam, someone on LinkedIn (typically someone with InMail, allowing them to contact with anyone on LinkedIn directly) sends you a message with a link to a scam or spam website. 1. Look at the email address of the sender and avoid anything with a non-LinkedIn domain. 2. Hover over each hyperlink in the email to see the link's URL. If the link is not to a LinkedIn webpage, you know it's a scam. 3. If you are at all uncertain about the validity of the email, log into your LinkedIn account. If the email is real, you will have the same notice in your message folder in LinkedIn. 4. Any email asking for personal information beyond your email address is spam. If you ever forget the password for your LinkedIn account, you will receive an email asking you to enter (just) your email address, nothing more. Next, you'll receive a link to reset your password. Any emails asking for additional email addresses, passwords, bank account numbers, etc., are spam. 5. Any email asking you to install software or open an email attachment is spam. 6. If an email contains bad spelling or grammar, it is likely a scam. 7. Finally, authentic LinkedIn emails have a security footer at the bottom of every email that says, "This email was intended for YOUR NAME (CURRENT JOB, COMPANY)." This footer is not a guarantee the email is not from a scammer, but if you do not see it, you should not click on any links. 1. Send the suspicious email to phishing@linkedin.com. 2. Delete the email from your account. 3. If you clicked any of the links in the email, run your antivirus and spyware software to find and remove any cookies or malicious software. 4. If you gave out personal information such as a password or bank account number to a scammer, make sure to reset your password and /or contact your bank.